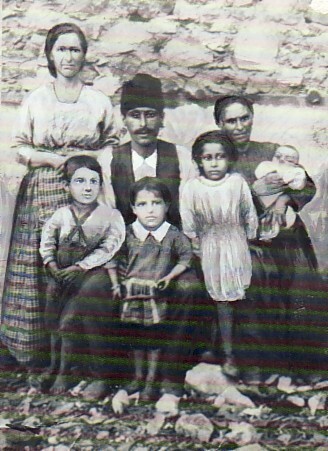 Above: The Vetsikas family. 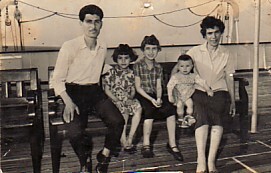 L-R: My mother, Vatani; my brother, Ioannis; my father, Panagiotis; my sisters, Ourania and Argiro; and my paternal grandmother, Sophia- who is holding me as a baby. 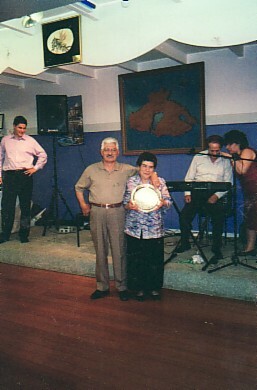 Above Right: My parents, Vatani and Panagiotis. Above: With my friends, Andreas Paleologos and Christos Evangelellis. I am on the right. 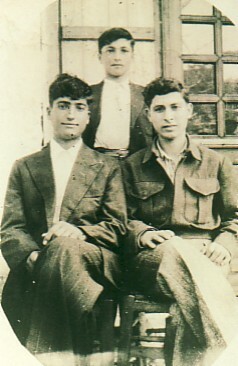 Above Right: As fifteen-year-old teenagers. 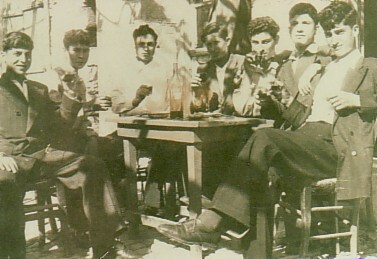 L-R: Christos Evangelellis, Efstratios Meligonitis, Ioannis Aivaliotis; unknown; myself; Efstathios Stavrogeorgis and Andreas Paleologos. 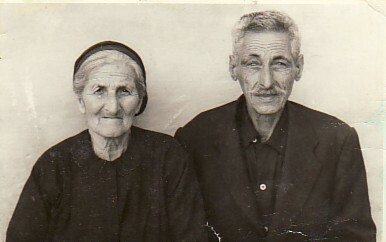 Above: With my wife, Maria, on our wedding day. Above Right: On our way to Australia, as a family. 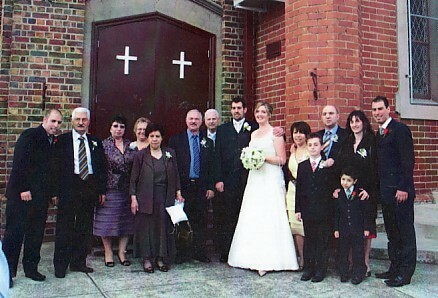 With my wife, Maria, and our children, Angela, Sophia and Panagiotis. 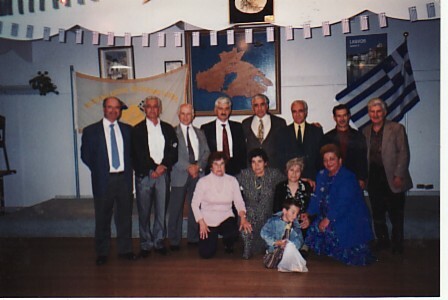 Above: For many years, I have served on the Committee of the Palesviaki Enosis of Melbourne and Victoria. Standing left to right are: Stavros Giaramanis, Efstratios Pikolos, Ioannis Esketzis, myself, Ioannis Vasiliou, Doukas Georgalas, Andonios Andonellis annd Nikolaos Hatzivagiannis. 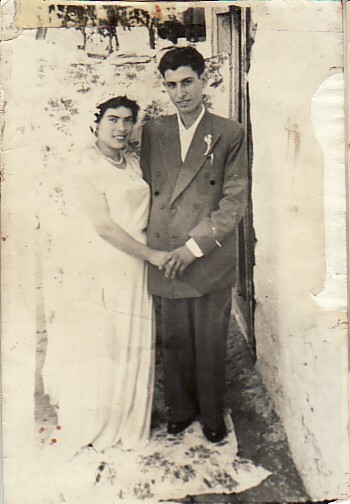 Above Right: Celebrating our 50th wedding anniversary with my wife, Maria.